Most tunnels are human creations that often penetrate the mountains and hills. But there is a tunnel that has the appearance, location or destination which is very unusual. This tunnel is a list of the tunnel that we rarely see, because they are rare or unique. That is why, some of them have become very popular tourist attraction. 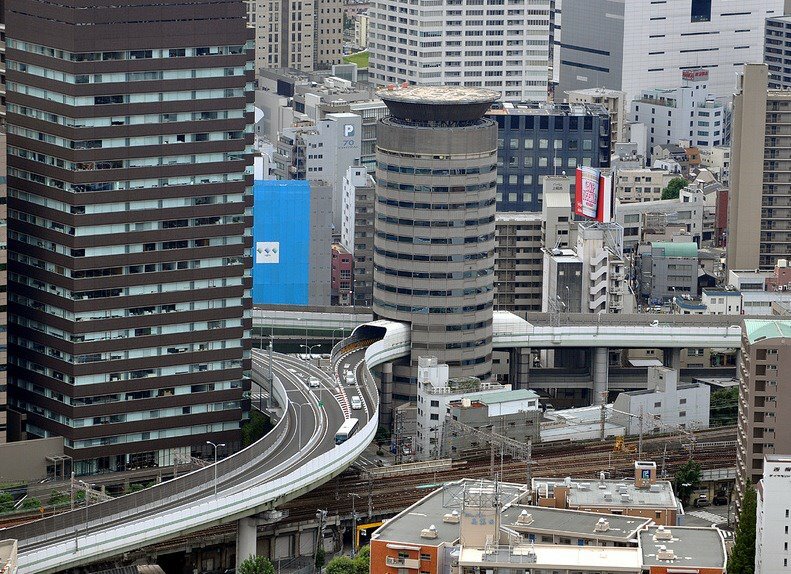 One of the most bizarre buildings in Japan is the Gate Tower Building in Osaka, Japan. This building is the result of an unusual compromise between landowners and the government of Japan. Floor 5, 6 and 7 of the 16-floor office building occupied by a highway - penetrating the building. On the information board on the ground floor storey building, the tenant for three floors registered as Hanshin Expressway. The tunnel is not connected to the building. The highway passes through a tunnel bridge building, which is supported by a buffer in addition to the building. The highway is surrounded by a structure to protect the building from noise and vibration. 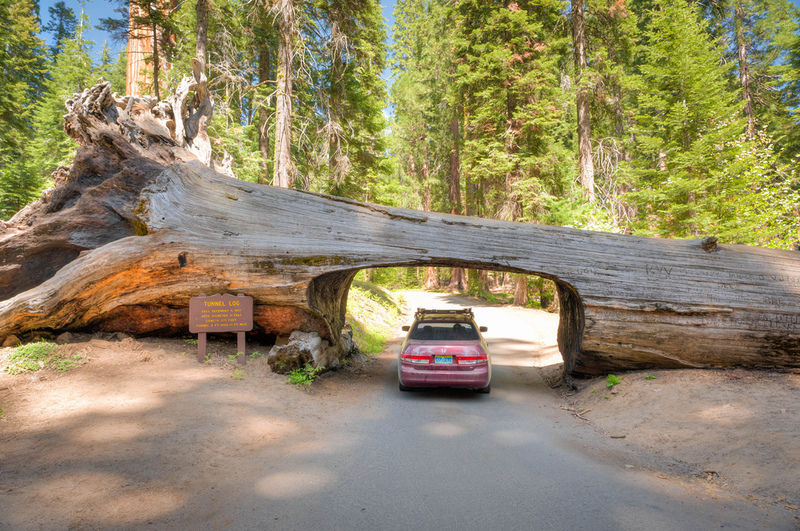 Log Tunnel is a tunnel through a giant sequoia tree collapsed in Sequoia National Park, California, USA. Tree, which has a height of 275 feet (84 m) and diameeter 21 feet (6.4 m), collapsed across the street park in 1937 due to natural causes. The following year, the crew cut it to make a tunnel pohong 8-foot-high (2.4 m) wide and 17-foot (5.2 m), so that the road was impassable. One of the most beautiful tunnel in the World can be found near the city of Klevan in Ukraine Tunnel of Love. 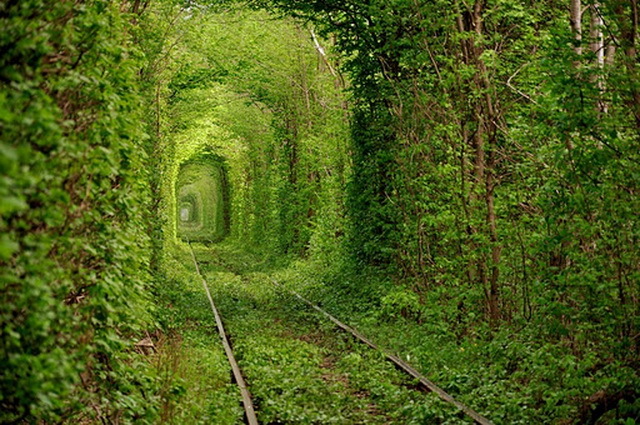 This is actually a rail tunnel of trees. The tunnel is the main attraction in the area and also one of the most beautiful places in Ukraine. During the warmer months, a tree planted beside the railway tracks, forming a green tunnel along one kilometer (0.6 miles). It seems that not many people know about this tunnel, making it a well-kept secret. Rock Tunnel (Tunnel stone) is located just inside the entrance to Sequoia National Park in Central California. Under a large granite rock, CCC (Civilian Conservation Corps) dug a tunnel to the highway in 1938. 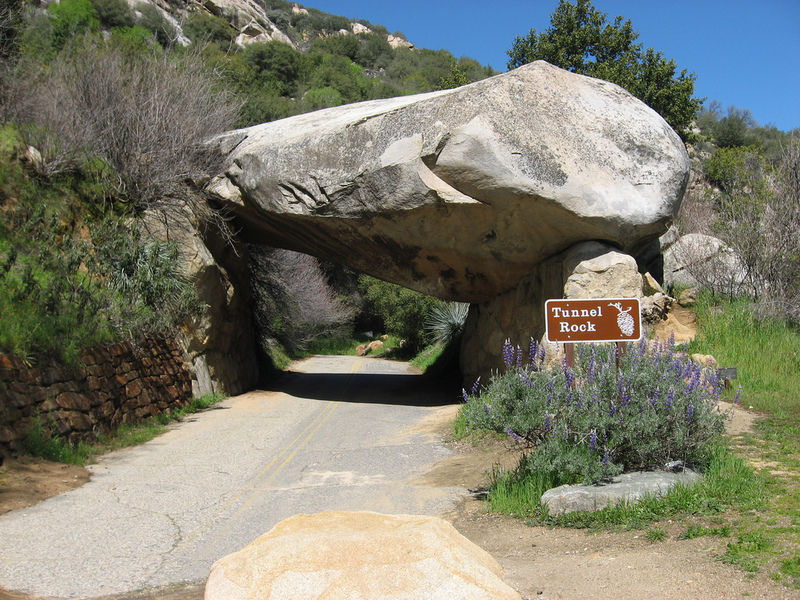 Today the road does not pass through the 'tunnel' but visitors can walk under a rock this balance. 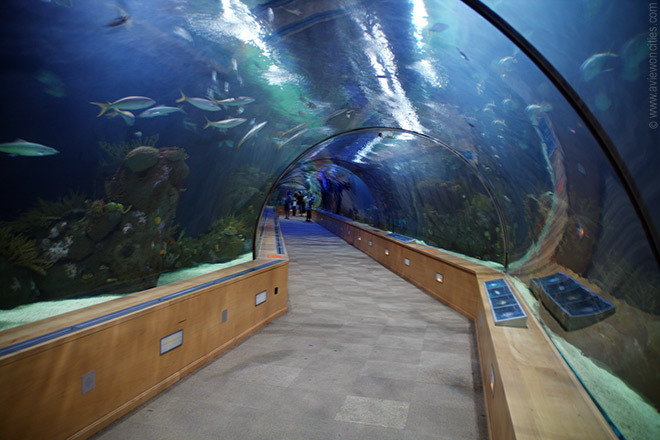 Journey to the underwater world through a long tunnel 70 meters (230 feet) in L'Oceanografic '(marine parks) in Valencia, Spain, where the marine life to be a part of your environment. Water moves around and above you with lights shining on many fish that swim through the tunnel that is unique. Blue and green color of the water and glass designed specifically used for this tunnel, giving the impression of being part of the sea to the tourists who visit. If looking at the small fish is not enough fun for you, wait until you're dealing with sharks, eels or stingrays. Thousands of tourists walking around in this incredible tunnel every year and see the exciting life of different species of fish.